Thursday, April 11, 2019 approximately 12:40 pm, Ridgeland PD dispatch was notified via 911 call center of an incident on I-55 where a local FBI agent was requesting assistance on a traffic stop. The call indicated the suspect vehicle was traveling north on I-55 and was involved with another unidentified vehicle over a road rage incident. Ridgeland PD officers responded and assisted the agent with the traffic stop near mile marker 107. During the roadside investigation, it was determined the lone occupant of the northbound vehicle had pulled beside a Toyota 4Runner on I-220 near the I-55 interchange and due to an issue of road rage, the suspect discharged a firearm in the direction of the Toyota 4Runner. Officers on scene were able to locate a firearm in the suspect vehicle. One person was taken into custody and Ridgeland Police are in charge of the investigation at this time with assistance from the Jackson FBI in a witness capacity. Investigation into the background of the arrested subject continues and is undetermined if additional charges will be filed. Investigators would like to identify the occupants of the Toyota 4Runner. 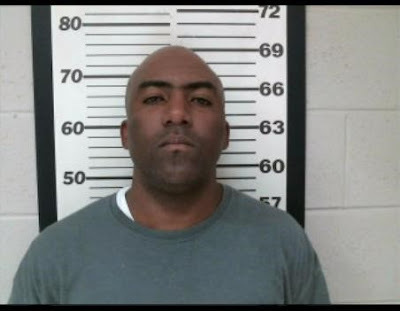 The suspect taken into custody has been identified as Larry A. Horton, 37 years of age from Durant, MS. Horton is being charged with one (1) count of Discharging a Firearm within City Limits. At this time, no bond has been set on Horton. Why the hell are the Feds getting involved in a local road rage incident?! They have no jurisdiction on this!!! Citizens Arrest! citizens Arrest !! what a weak charge! a person who shoots a squirrel in their backyard in the city, and this thug who shoots an another vehicle on the road get the same charge. Interesting. How about something a little more fitting to the crime. Shaking my head. is too busy "feeling cute" to calm this fellow down. I hate the feds as much as the next right-winger but I'm grateful the FBI agent involved himself here. Those damn bullets have a way of not paying much attention to where they stop. It being a highway and all who knows maybe a little kid's life got saved. 3:20- It was a 911 call reporting the incident. The FBI is involved because they are doing their damn civic duty as witness to a crime. I can already tell you're one of those "all regulations are bad" idiots that wants us all to die from food poisoning because Free Market. 220 is the most lawless strip of highway in the country. OUT-OF-Control !!! Probably late for a MENSA meeting. "feds have no jurisdiction"......YOU are the idiot! Last time I checked, Ridgeland, MS was in the United States! An agent witnessed the incident and contacted local LE to conduct a traffic stop. Country boy is not used to "big city" traffic. I’m sure they were just driving and witnessed the incident. Read the report retard. Gee, I don't know, maybe he witnessed the incident, pulled the guy over and then called the local PD to handle the situation. You must be one of those "get the feds away from me, I'm a gonna cry" guys. They have JURISDICTION on every inch of US soil. They have arrest authority for all Federal felonies and misdemeanors committed in their presence AND all state, tribal, county, and city FELONIES for which there are reasonable grounds to arrest. Their policy may dictate that INVESTIGATIVE jurisdiction is shared, or exclusive, or primary, or secondary, or ceded to state and local partners, but that is NOT detention or arrest after a violent felony committed in their presence. And note that they called the locals instantly, as is appropriate and wise, to make the stop and arrest safely for all parties. They weren't directing traffic or giving out parking tickets or inspecting the tags on your mattress, Cletus. During some road rage and fella discharges a firearm, why isn't that some type of attempted murder/manslaughter charge? If you are mad(road rage), and you shoot towards the person who causes your rage, aren't you attempting to thwart them by shooting them, or at them? To have an elevated charge, they need a victim who is willing to come forward. As I read the article they'd like to speak with the victim who probably drove away quickly. Was he/she involved with also displaying a firearm, who knows, but as of the article time no one has come forward. They can only go on what the FBI Agent witnessed, this guy discharging a firearm. And as stsed for the obvious, the FEDS can go and do their job ANYWHERE they want in the USA and USA Territories. Wow, hope you people feel better with all of the name calling. Ok so for the first time on the blog after hundreds of comments I misread an article. Ok so fediot was just a witness. Jeez you people are awful. "Probably late for a MENSA meeting. " OK, close down the internet for the day - we have a winner!